As you can see from the photos, Prizm in question looks to be in pretty nice shape – ODOT doesn’t use salt, which helps keep the tinworm at bay. 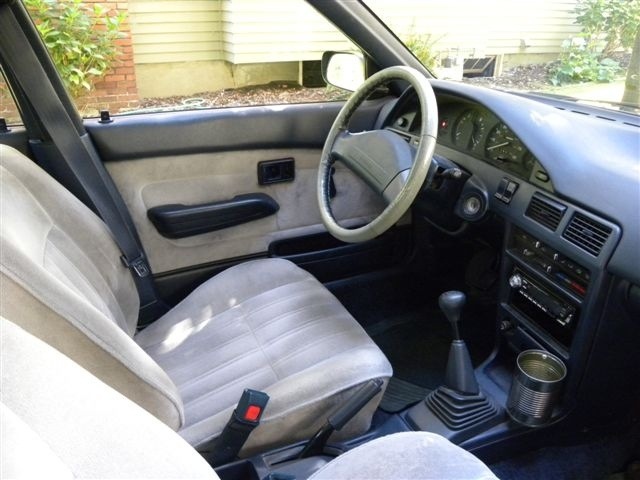 Inside, the navy blue/baby blue combination isn’t my first choice, but it’s an early-run car with the full velour treatment (no cheap vinyl on the seatbacks and head restraints), so that’s a definite plus. 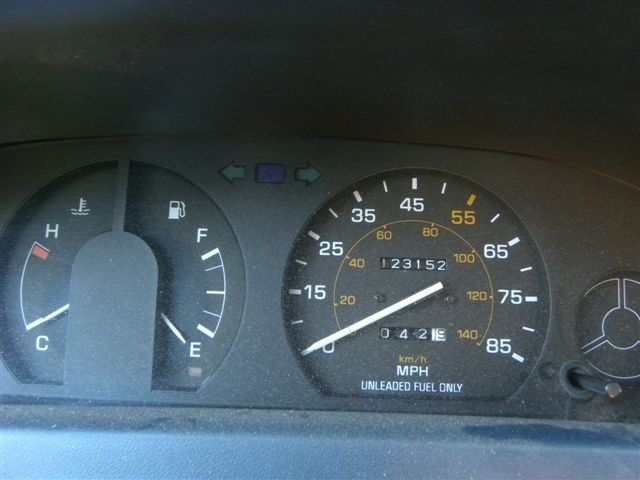 And the mileage is fairly low on this 23-year old car, yet not so low that you wonder how many parts will require replacement due to lack of use. To be honest, the only reason I’m not on a flight to PDX right now is that it’s not the high-zoot GSi. 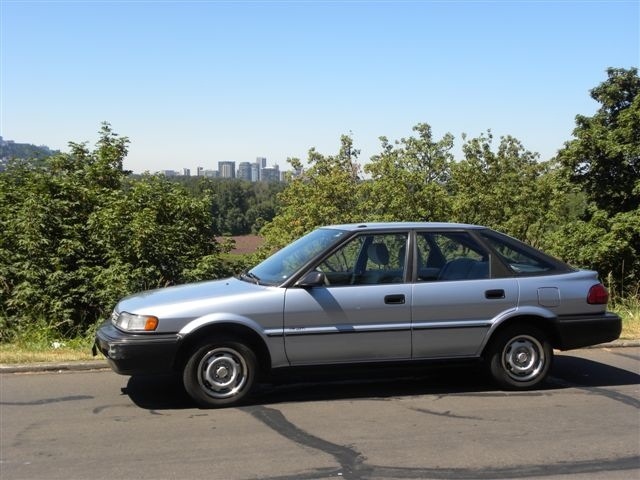 But, with a price at $1,231.52 (yep, in honor of the odometer reading), this car could be a very good deal indeed. 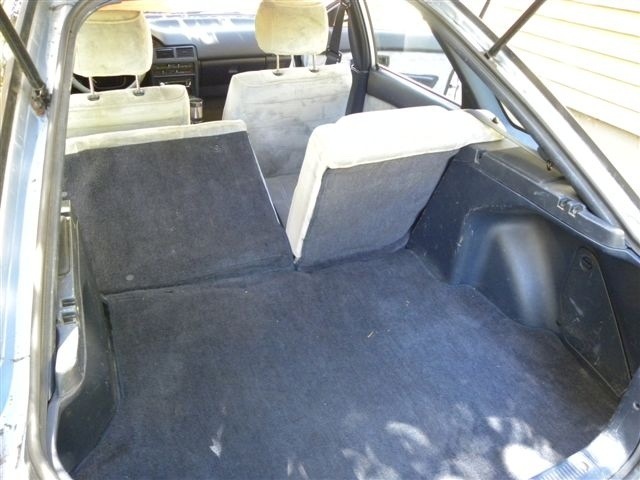 So, if you’re interested in a baby blue on baby blue classic hatch, check out Lee’s description below and get in touch at leeleighton (at) comcast dot net – he’s got high resolution versions of the above photos and more for your perusal as well. As you can see, mileage is just over 123,000.
driving across the 123456 mark! 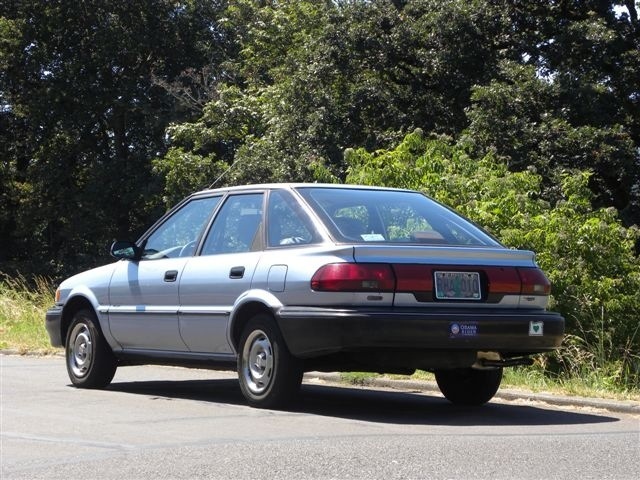 My 1990 Prizm Hatchback is a great car. Love it. Reliable, great on gas, and never let me down yet! The only thing is that stupid 1990’s seatbelt (you know the kind).